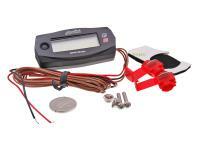 Comes with Racing Malossi CDI for higher RPM. The Force Master 2 CDI that is included is the innovative CDI which allows to change the injection in order to fit perfectly the new Malossi 4-stroke cylinder kit. 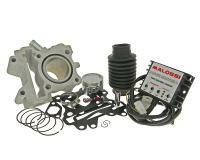 Malossi 66cc BigBore cylinder for new water-cooled Yamaha 4-stroke 50cc engines with injection. 44mm bore = 66.11cc capacity meaning great torque and improved acceleration. 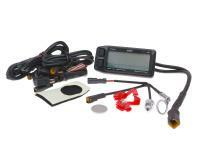 the supplied Force Master 2 ECU unit features 3 programs for best tune fuel consumption. Well-engineered cylinder, piston and rings. Great for daily use.